All boiler fuel oil types require a filter. Monitoring the oil filter contamination level and cleaning or replacing it when the contamination affects the burner operation can help reduce future burner problems. The Oil Filter Monitoring Kit triggers an alarm when the oil filter needs cleaning or replacing. It does that by measuring the vacuum created by the oil pump. The higher the vacuum the dirtier the filter. Two types of Oil Filter Monitoring Kits are available. 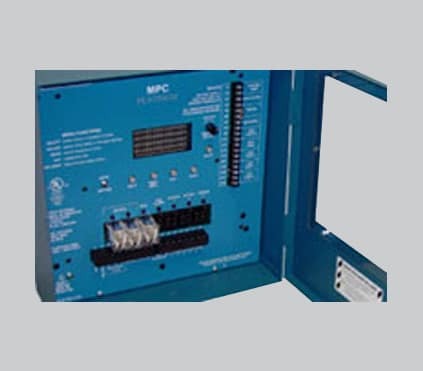 This SPC can then be connected to a visual or audible alarm. 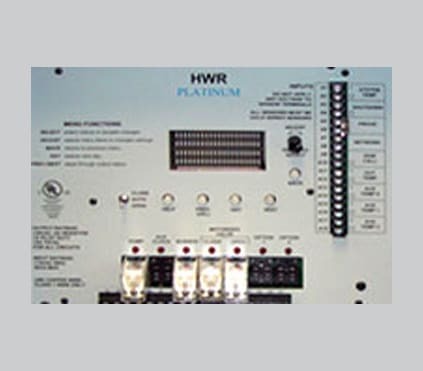 Vis-U-Larm (HT# 925011-00) is a visual-audio alarm and is recommended by Heat-Timer. The Vis-U-Larm is purchased separately. 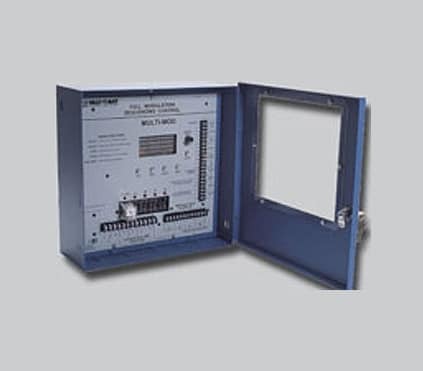 The 4-20mA Transmitter Interface connects to Internet ready Platinum controls. 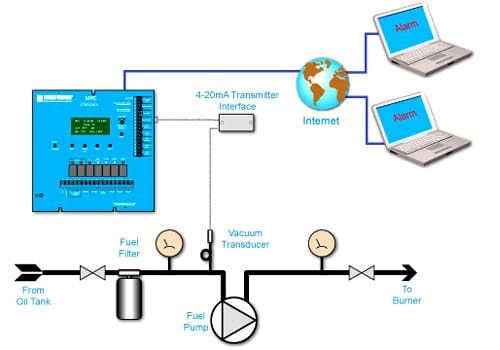 The transducer and alarms must be configured on the web using the ICMS (http://www.htcontrols.com). Alarms will be in the form of viewable web alarm, E-mail, or text message to a cellular phone. • Requires the purchase of MSI Hub (HT# 904284-00).